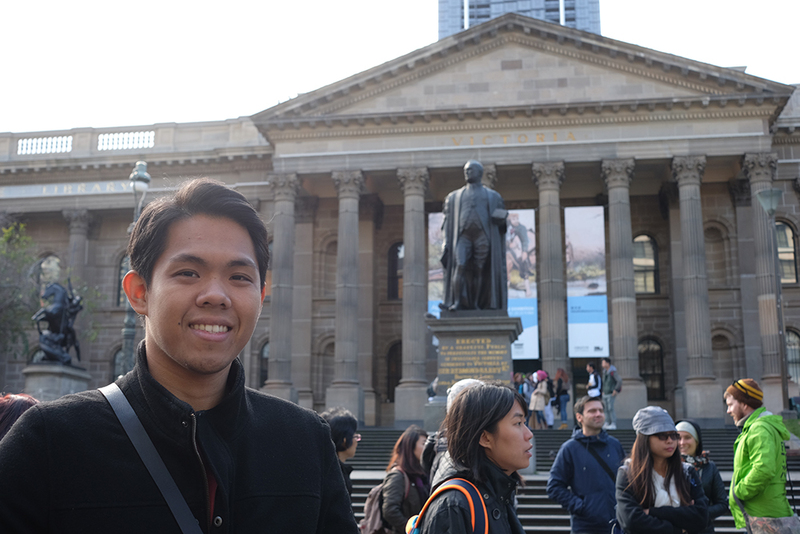 Paolo in front of the State Library of Victoria. If you have a week or two to spend in Australia, don't waste your time in Sydney. That's what I thought when Paolo came here last August. 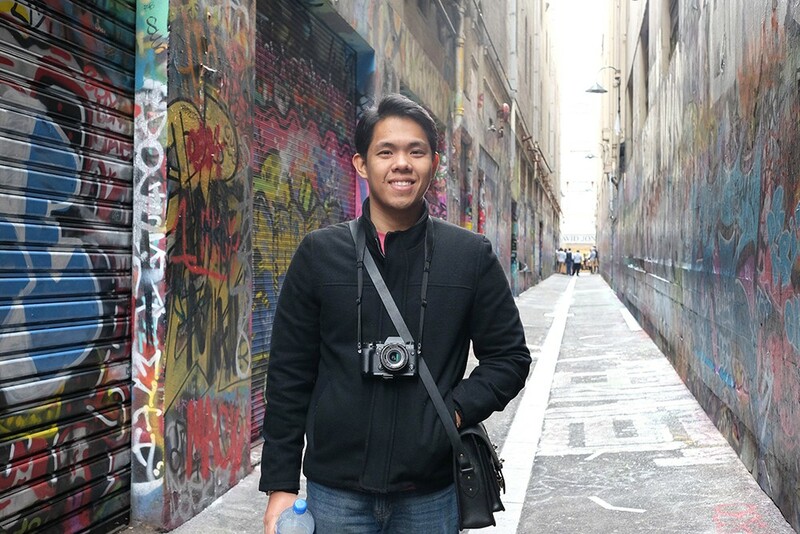 It gets pretty boring when you've seen most tourist spots in Sydney then later on you'll realize it's time to explore other areas like.. Melbourne! There's a lot of ways to get to Melbourne from Sydney (cheapest I think is by bus and train) but we decided to fly via Jetstar, thanks to a roundtrip all-in promo of only $400AUD (approximately ₱13,000-13,500) for two. Disadvantage of getting the cheap airfare? You're on the first flight out. Which is ok because we can take a nap during flight but important part is that we arrive earlier than usual giving us enough time to maximize our 3D2N stay in Melbourne. Moving on, if you're coming from Tullamarine, you'll notice that there's no train/rail service going to the city. Melburnians have been waiting approximately 60 years for the government to provide efficient transport system. For now, the cheapest and easiest way to get to Melbourne CBD is through the airport's SkyBus which charges a fix rate of $18AUD per way. The SkyBus will drop you off at Southern Cross station and from there you can ride these trams to get around. 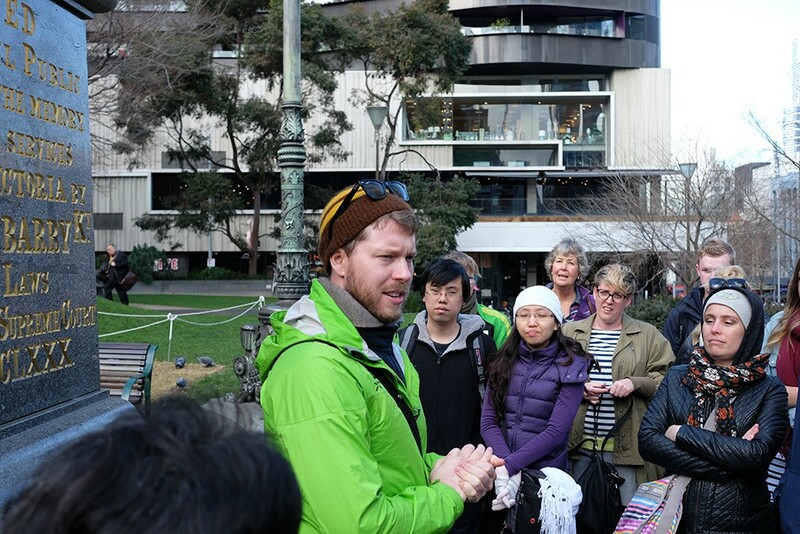 Just like the free shuttle bus service in Sydney, Melbourne provides free tram rides within the city. 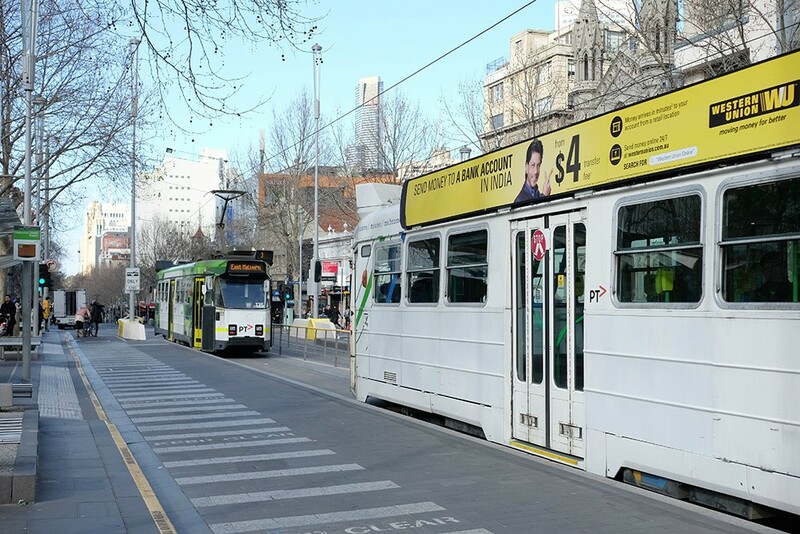 Click here to view Melbourne's free tram zone. 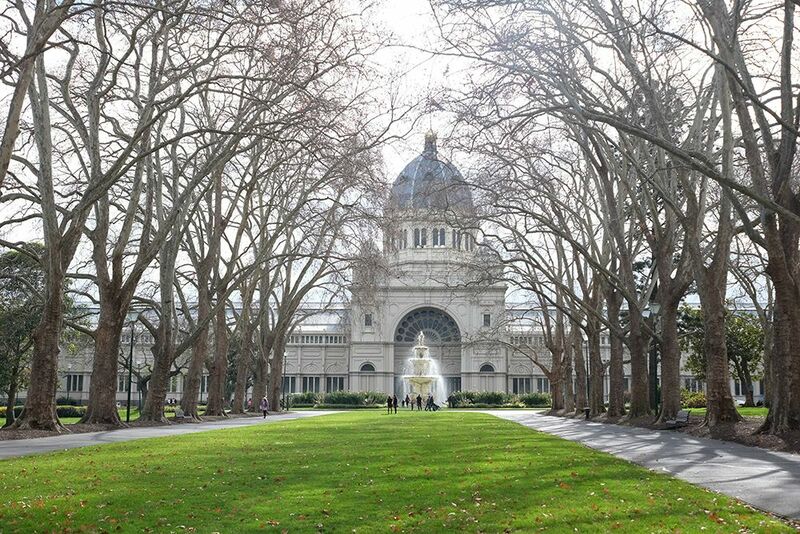 Royal Exhibition Building, an iconic Victorian center for events. Coles Fountain with a glimpse of St. Patrick's Cathedral in the background. 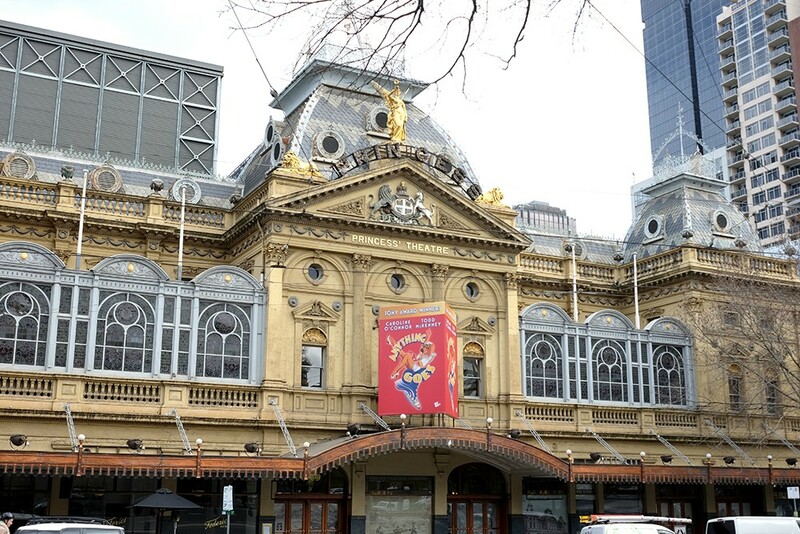 The iconic Princess Theatre which is said to be haunted by the friendly ghost named Federici who died cause of a massive heart attack on March 3rd 1888 after a performance of the Opera, ‘Faust’. 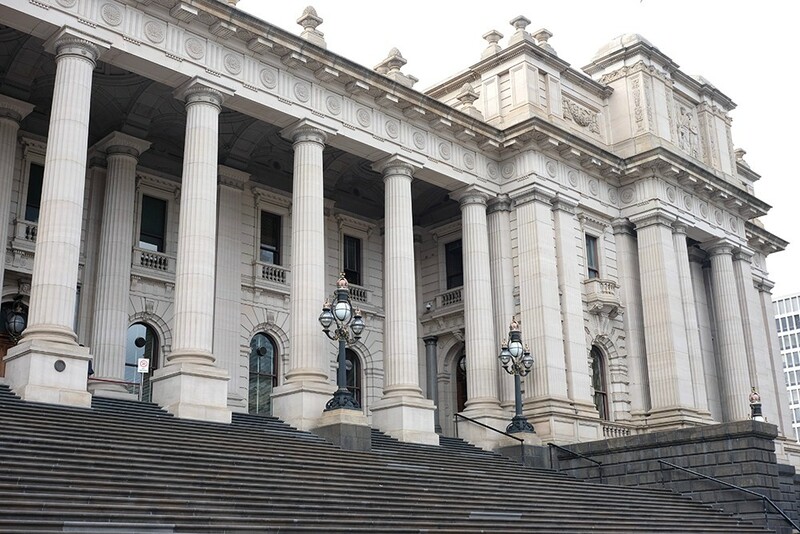 Here's a snapshot of the State Parliament of Victoria which reminded me so much of the Manila Central Post Office. We also passed by Pellegrini's Espresso Bar. 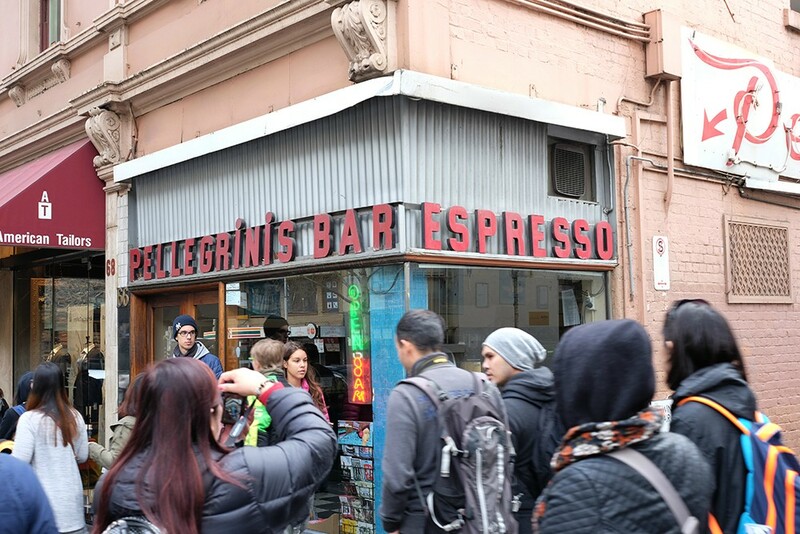 It is said that Pellegrini's had the first ever espresso machine in Melbourne dating back 1954 which then started the Melburnian obsession over coffee. 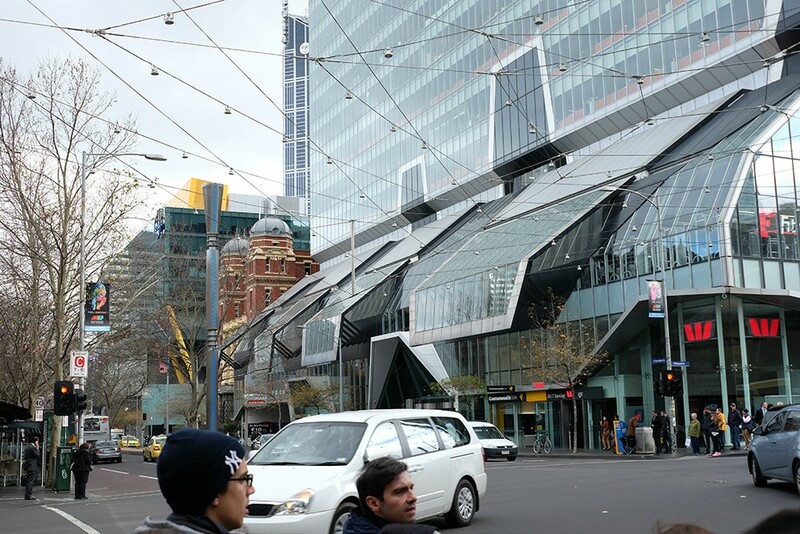 I noticed that the city architecture in Melbourne is a mix of old and new. 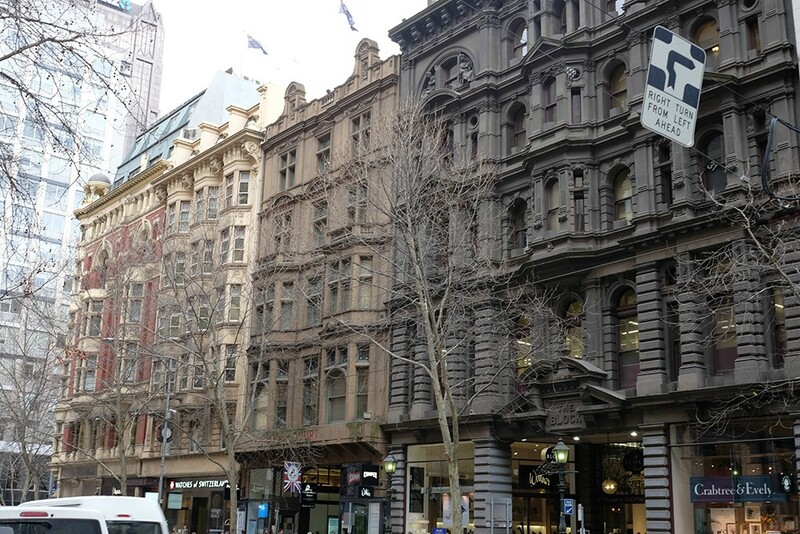 But I like the newer buildings here compared to the ones I see in Sydney, they look so much more artsy. Haha. 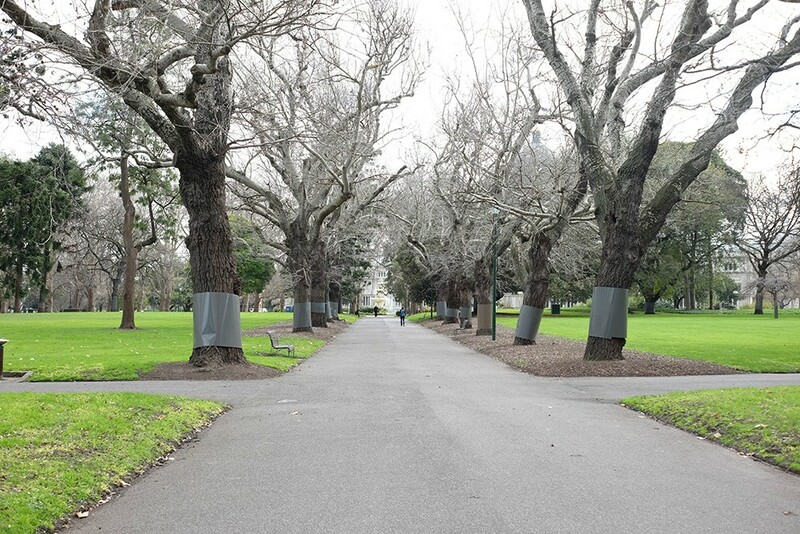 Speaking of art, Melbourne is known as one of the world's great street art capitals for its unique expressions of art on approved outdoor locations. Sadly I couldn't remember which part of the city is this area. Hehe. 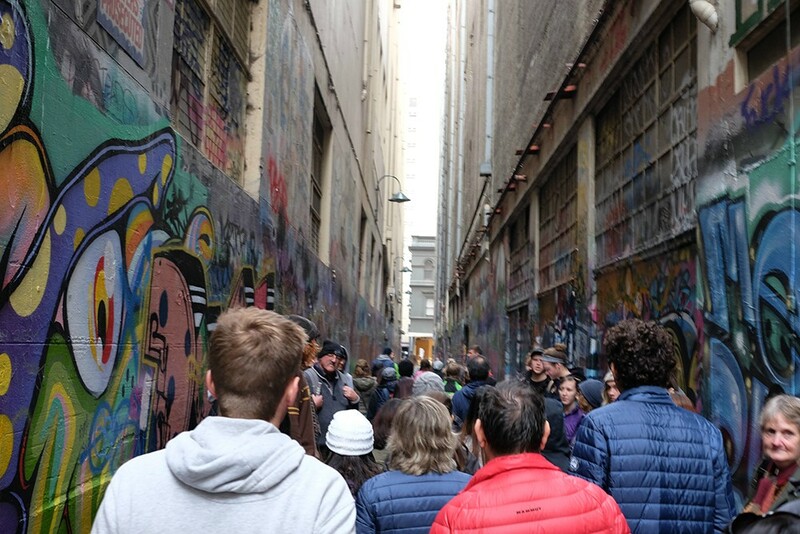 Melbourne's laneways have been revitalised with bustling cafes and atmospheric bars. 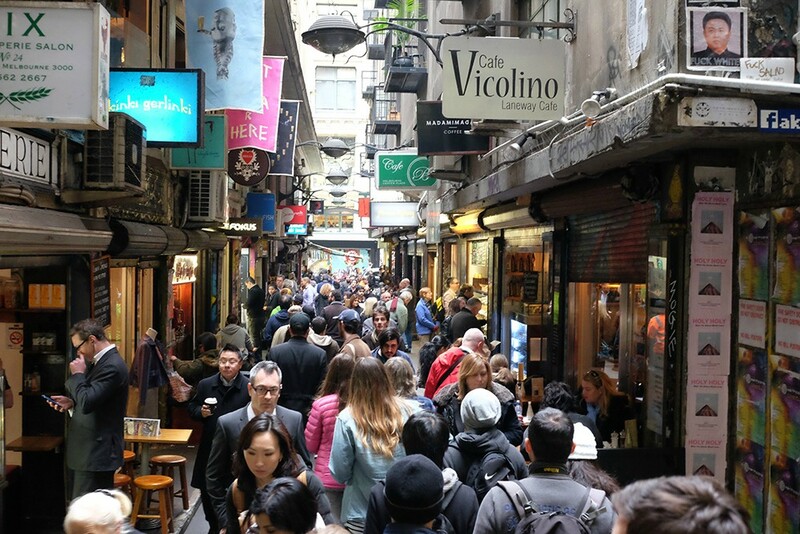 This area is called Centre Place. 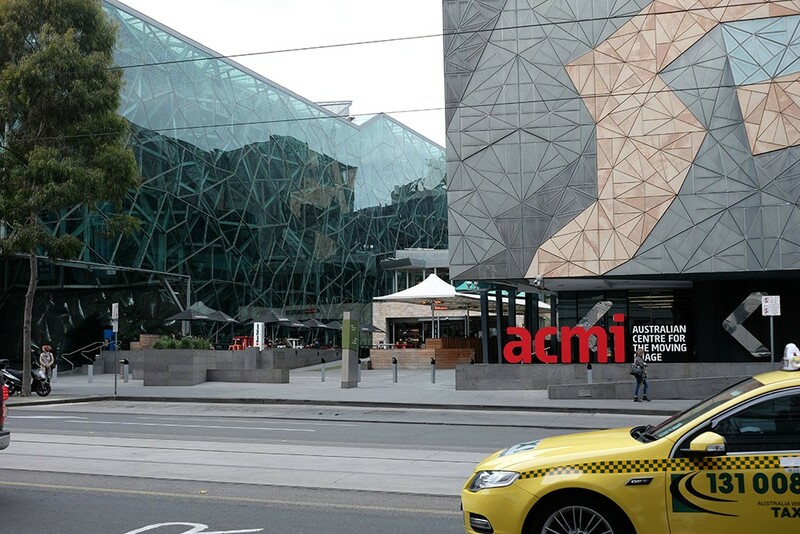 Going back to architectures, here's the Australian Center for the Moving Image (ACMI) located right beside Federation Square. It is a state-of-the-art facility purpose-built for the preservation, exhibition and promotion of Victorian, Australian and International screen content in different forms of media. 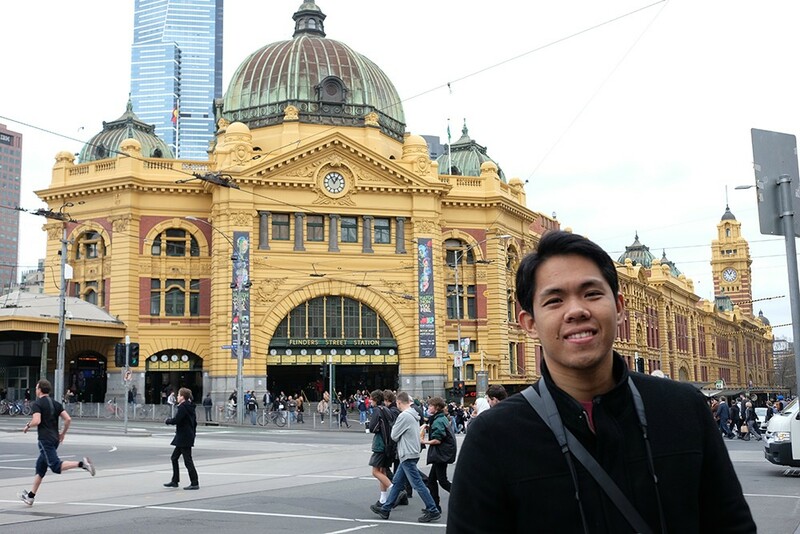 Across Federation Square is Flinders Street Station which is Australia's oldest train station located right in the heart of Melbourne CBD. 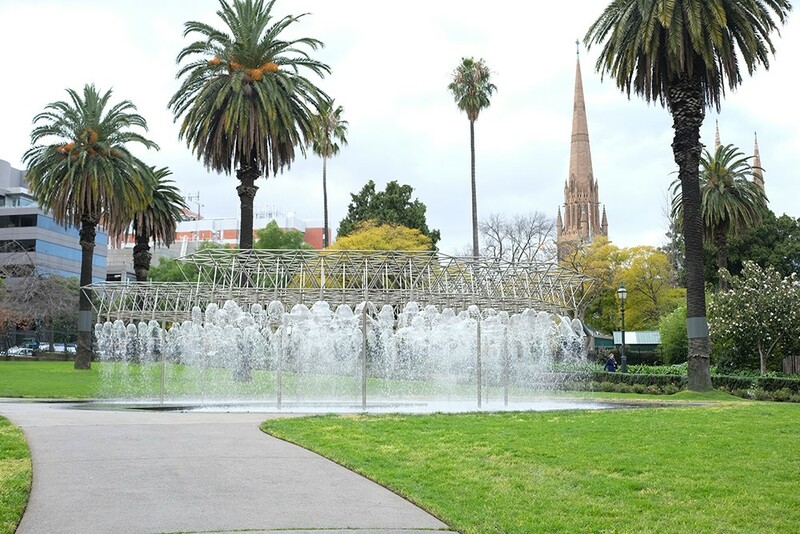 It used to be Melburnians favourite meeting place, hence the catchphrase ‘meet me under the clocks’. Hi Christine, you obviously did not read the whole post that's why you couldn't leave a comment. :p Anyway, I don't know how sponsored visa works. As for the money, I don't state any amount coz it depends on long are you staying. Lets just say you need to show a little bit more since you're visiting one of the most expensive countries on earth.